Or perhaps you would like to enhance your intuition, memory and study skills. And did you know that Hypnotherapy can be surprisingly effective for managing our eliminating pain? Our Clinic in fact specialises in treating clients with Irritable Bowel Syndrome. Hypnotherapy can change how you think and feel at a subconscious level. This is the part of the mind that’s in control of your automatic actions and reactions to things. 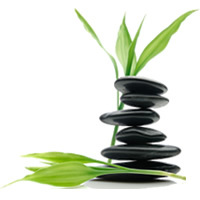 Hypnotherapy is a very relaxed and focused state of mind. It’s a process where the conscious mind is asked to step aside temporarily to allow you to connect with the subconscious mind. In this way you can access the wisdom and abilities of the inner mind to find solutions to problems or make positive changes. Often the cause of a problem can be uncovered and resolved rather than just treating the presenting symptoms. Hypnotherapy is a process where the Therapist guides you and helps you work with your own inner ability to resolve issues and develop your full potential. Clinical Hypnotherapy is very different from ‘Stage Hypnosis’ you may have seen, where the subject seems under complete control of the Hypnotist. In Clinical Hypnosis we help you gain control of your own subconscious mind. The mind also has a profound effect on the body. Hypnosis is one of the best ways to create MINDBODY healing and can help a variety of conditions. Childbirth – If you’re having a baby then our amazing HypnoBirthing program might be for you – We teach mums how to use Hypnosis for a safe, comfortable and positive birth experience. We offer our Hypnotherapy services from our Melbourne based clinic in Doncaster East but also have range of online Hypnosis Audios and Programs available to everyone. Your Therapist will ask you to sit comfortably in a chair and close your eyes. They will then simply talk you into a very relaxed state. Your therapist will continually ensure that you are comfortable with the experience. Hypnosis is a pleasant, day-dreamy state. It’s a little like the feeling you have when you are gazing at an open fire place or a beautiful waterfall. Your body will probably be very relaxed but you will be more focused and aware than you normally are. You are always in control and you will normally remember what happens during the session although it may feel a little like a dream. After a Hypnotherapy session many people report feeling much more at peace and thinking more clearly. Problems often seem to resolve themselves or unwanted behaviour changes automatically. Repeated sessions are helpful as you become more and more familiar with the process you tend to go deeper into trance. Hypnotherapy helps you feel more in control of your thoughts, feelings and actions. Most people benefit from somewhere between 3 and 8 sessions depending on the issues you’re working on. Using a hypnosis CD regularly between appointments will often enhance your progress. I just wanted to thank you very much for your help with my Fibromyalgia pain. After our first appointment using Hypnosis the pain, particularly in my legs has greatly reduced. I am also sleeping much better with the help of your CD. Considering Fibromyalgia is meant to be incurable you have done wonders. I know that this email is a long coming – however better late than never?! We service the wider East Melbourne community: Doncaster, Ringwood, Box Hill, Templestowe, Nunawading, Blackburn but also have online Hypnotherapy Programs available online if you would prefer.